Great housewarming gift for the newlyweds or hostess gift for a friend that loves wine. 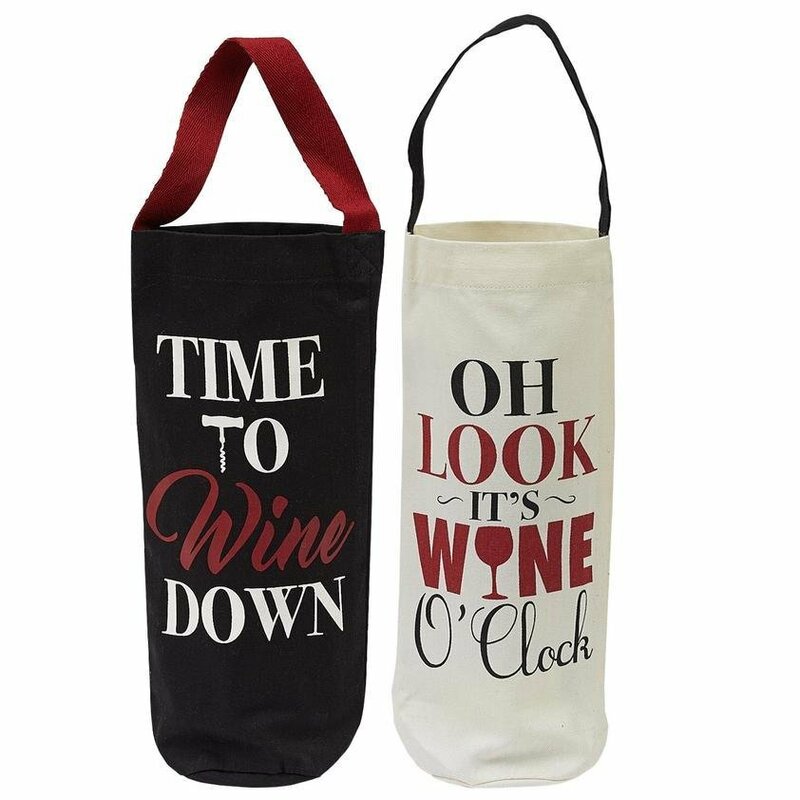 Choose from black bottle tote stating, Time to Wine Down or white bottle tote stating, Oh Look Its Wine O'Clock. Each tote measures 6"w x 12.5"h with 4" diameter bottom. 100% Cotton. Machine wash cold separately • Gentle cycle • Tumble dry low • Low iron.